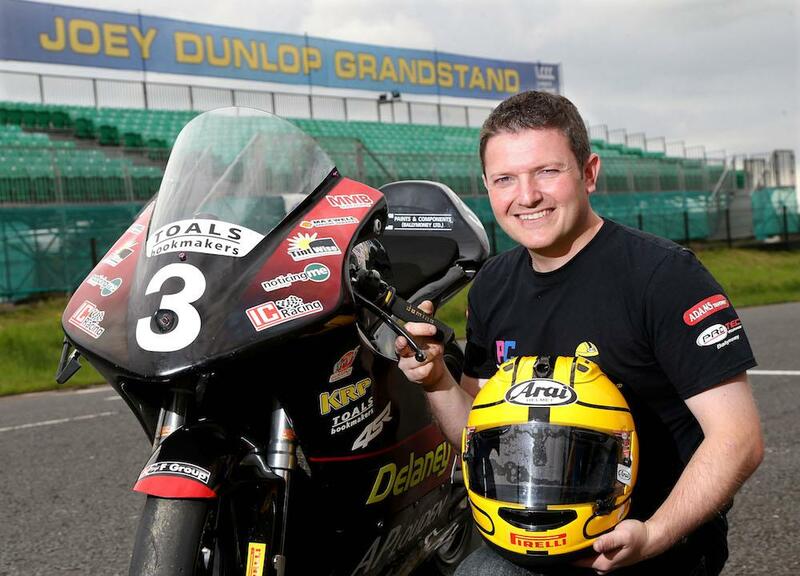 Joey Dunlop’s son, Gary will make his debut at the world’s fastest road race this week, taking on the Ulster Grand Prix for the very first time. Gary was just 16 when his father passed away in 200 following a crash in Estonia, and at age 17 he began competing on the Irish short circuits before giving it up to help run the iconic ‘Joey’s Bar’. Now 33, he made his competitive motorcycle racing comeback this year making his debut on the roads. He will ride in the Ultralightweight 125cc class in both the Plant Lubrication Dundrod 150 race on Thursday and Saturday’s MCE Ulster Grand Prix, at which his father won an unbeaten record of 48 races. “Oh, I had to race at Dundrod,” Dunlop said. “It’s the only race that I’ve actually been looking forward to all year. There’s others that I’ve sort of been interested in but none compare to this one. Dundrod has been the one that I’ve looked forward to from the very first race. “I have so many childhood memories running about Dundrod; I grew up there. Playing in the wee stream down the bottom of the paddock, messing about on the bicycle in round where the scrutineering bay is, and obviously watching all those great races through the 80s and 90s. It’s like a home from home for me. “The memories I have of my Dad racing there are ridiculous. He has the record for the most number of wins at Dundrod but it’s not just that… I know everybody probably thinks it’s the TT and he did love the TT, but Dundrod was his favourite course. “Noel, the clerk of course, has given me rider number 3. I wasn’t too sure about it at first as it’s my Dad’s number and it’s a bit strange for me but it’s a nice legacy and if it helps give a bit of publicity for the 125 class and the Ulster Grand Prix then I’m happy,"